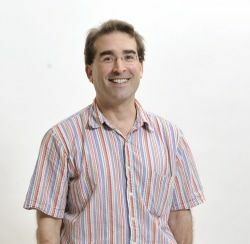 Leon Sachs is an associate professor of French and Francophone Studies at the University of Kentucky. His book, The Pedagogical Imagination: The Republican Legacy in Twenty-First-Century French Literature and Film (University of Nebraska Press, 2014), examines artistic form as a reflection of republican educational ideology. He writes in general about the history and culture of French education and has recently published essays on Jacques Rancière's educational thought and laïcité.